Forms, forms, forms, often overlooked when it comes to design. 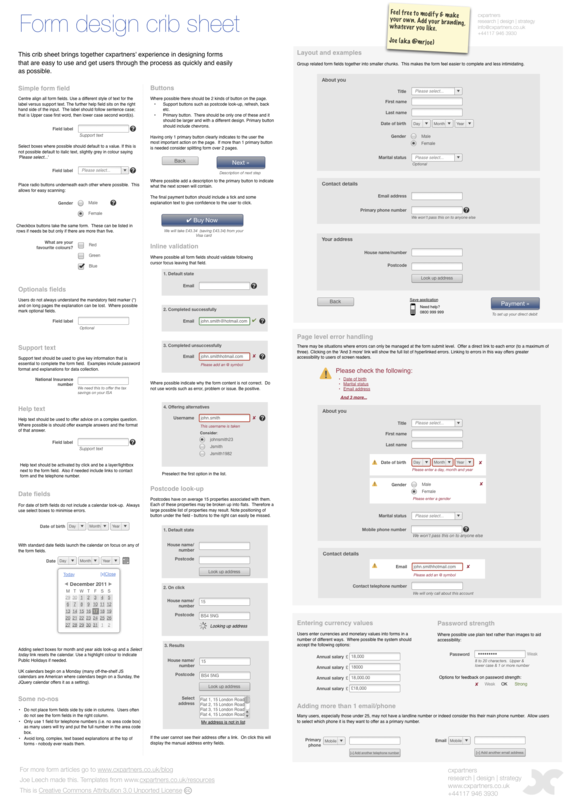 In this post we are glad to release a Form Design Cheat Sheet, created by Joe Leech and released for Smashing Magazine and its readers. This crib sheet contains an Omnigraffle template, Photoshop (PSD) and PDF examples for you to download and use how you wish. Print it out, stick it on your wall, send it to your clients, generally help make everybody’s forms a bit better. Forms, forms, forms: so often overlooked in design. In this post, we are pleased to release the Form Design Cheat Sheet, created by Joe Leech and released for Smashing Magazine and its readers. This crib sheet contains an Omnigraffle template, as well as Photoshop (PSD) and PDF examples for you to download and use as you wish. Print out the sheet, stick it to your wall, send it to clients, and just generally help make everyone’s forms a bit better. 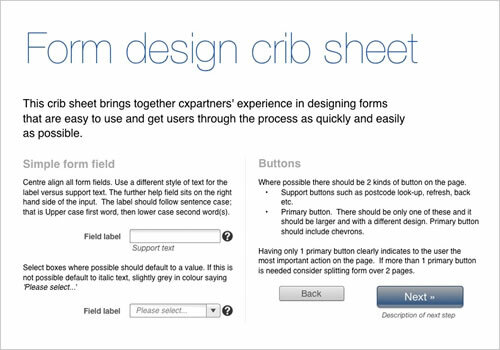 The designers of the crib sheet have spent years designing and testing forms, and they’ve decided to summarize the most common problems and issues that come up in their projects. As usual, this goodie is absolutely free to use in private and commercial projects. The crib sheet is released under a Creative Commons license. The crib sheet is released under a Creative Commons license. You can use it in all of your projects for free and without any restrictions. Please link to this article if you would like to spread the word. You may modify the theme as you wish. We know you’ll find it useful in your next project!